A 9-7 record in the 2015 season was good enough for a first place finish in the NFC East for the Redskins. The Skins lost to the Green Bay Packers 35-18 Wildcard Weekend. Washington has won the Super Bowl three times: 1991, 1987 and 1982. 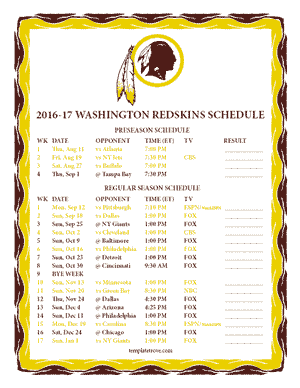 The Redskins compete in the NFC East with the Philadelphia Eagles, Dallas Cowboys and the New York Giants. 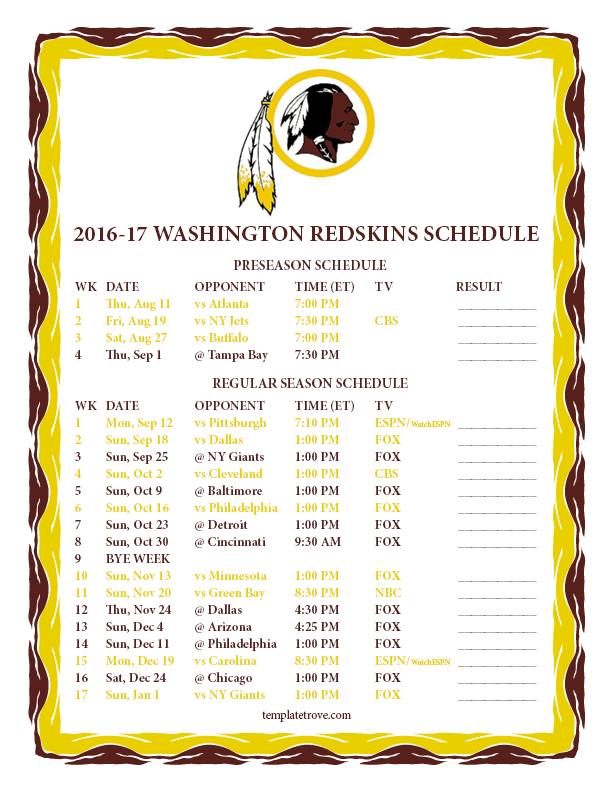 Two Monday Night Football games highlight the Skins 2016 season starting with a home game week 1 verses the Pittsburgh Steelers and another home game week 15 verses the defending NFC Champion Carolina Panthers. They will also play a Sunday Night primetime game week 11 at home against the Packers. Week 8 will feature a 9:30 a.m. game in London's Wimbley Stadium against the Cincinnati Bengals.